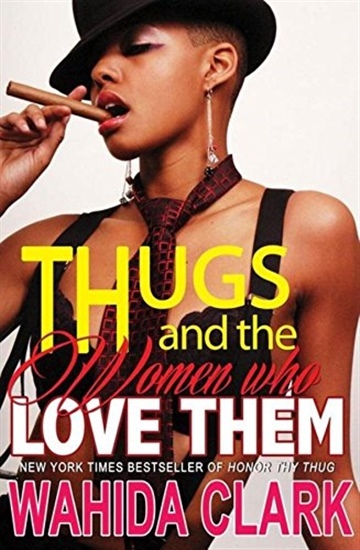 Thugs and The Women Who Love Them. New York Times bestselling author Wahida Clark is all too familiar with the truths of ghetto life. The first novel in her gritty series takes readers into the streets, where a wrong choice could be the last choice a person ever makes. Four-time New York Times bestselling author Wahida Clark has become one of the most sought after Urban Lit authors of this generation and is one of only 4 Urban (Street) Lit authors to appear on the New York Times bestseller list. Wahida began writing her first novel while serving a 9 ½ year prison sentence, including 9 months in solitary confinement, at the Lexington Prison Camp in Lexington, Ky. While behind bars, Clark inked a publishing deal with a major publishing house, wrote and released 7 novels and laid the groundwork for her publishing company, Wahida Clark Presents Publishing. Released in June of 2007, today Clark is signed to Cash Money Content, the publishing arm from iconic record label Cash Money Records, home to multi-platinum hip-hop recording artists Nicki Minaj, Lil’ Wayne and Drake. To date she has released 13 successful novels including Four New York Times bestsellers. Her own publishing company, Wahida Clark Presents is one of the fastest growing independent publishing houses in the country. WCP has 46 titles currently in stores across the country and has a roster of 19 established urban authors. Wahida Clark has sold more than 700,000 novels to date including Four New York Times bestsellers with Cash Money Content. Her latest novel, the CMC release, “Honor Thy Thug”, made its debut on the New York Times bestsellers list at #23. It is the follow up to her New York Times bestselling title “Justify My Thug” (2011, CMC) which debuted on the list at #19, only two weeks after release. “Payback Ain’t Enough” (also from CMC), made its debut on the New York Times Extended Bestseller List at #27 in 2012 and is the follow up to Payback With Ya Life” (2008). Payback With Ya Life was one of only four urban fiction releases to appear on the New York Times list. She has also edited her first anthology, What’s Really Hood! : A Collection of Tales from the Streets.